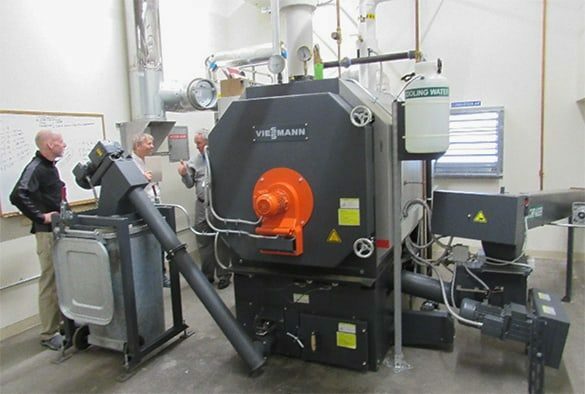 Froling Energy held a Biomass conference that was specifically aimed at mechanical engineers wanting to learn more about state of the art biomass boiler systems. 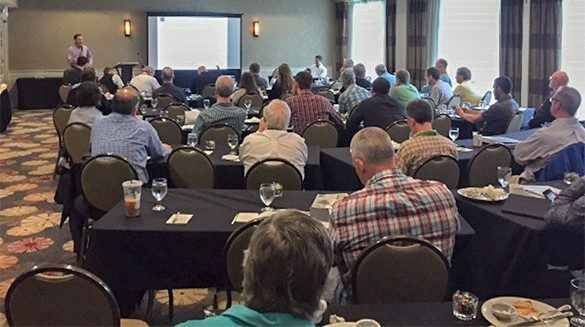 On May 3 and 4 over 50 engineers, energy, and forestry consultants, boiler representatives and folks from three state agencies attended our first Biomass Technology Conference for Engineers. Speakers at the various sessions included Bob Malmsheimer a professor at SUNY in Syracuse NY, Scott Nichols of Tarm USA, Dan Wilson or Wilson Engineering Services, Karen Cramton of NHPUC, Mila Schubert from Schmid (who traveled here from Switzerland), and so many others. Thanks to everyone who spoke! On Friday we toured the dry chip boiler room at Filtrine Manufacturing in Keene. Mark Froling, Toby Wells and Jim Van Valkenburgh of Froling Energy each contributed to the sessions and others from the company helped with coordination. The conference was held in three nicely appointed conference rooms at the Courtyard by Marriott in Keene, NH—nice people and good food! A special thank you to Heidi, their events coordinator. We all walked over to Margaritas on Main Street for a fun dinner on Thursday night. Comments from attendees was very positive. We’re thinking about doing something like this again in 2019.